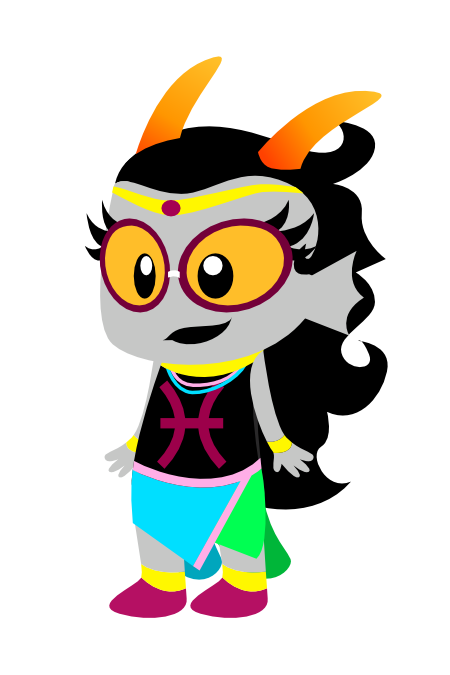 This quite literally took me forever to get done, partly because of technical issues, but yea this is a shimeji of Feferi Peixes from Homestuck! The pic up above is a preview of the cuteness. Oh, but don't worry, it's not this big! I managed to make the whole thing in Vectors, so it was a little easier to finish. 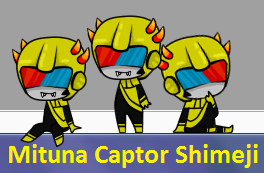 Sister: You know the Homestuck shimejis right? I can't find a Feferi one. Me: Oh, I'll do that. Anyway, what you need to do is download the .zip file to the right and extract it. I use something called Universal Extractor, but I've heard from others they use Winrar, so that's fine. 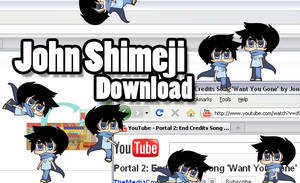 Then it works like any other shimeji, click on the .jar file and it'll start. Ignore the crossed out part, that was for before I made it a .rar file. Pretty much extracts the same way. Just copy the Japanese characters from here and paste them in the place of "one" and "two". Make sure the right names go to the right files! I'm not sure if this is vital, but it's good to have that just in case. Sorry for the hurdles! Let me know if you have any problems, I'll try to help. Aaaaaaa I just remembered! I made all the art and stuff, but I used the Karkat shimeji here [link]§ion=&q=karkat+shimeji#/d35m30z by as a reference. I hope you don't mind! Just keeps saying "Failed to load configuration files. See log for more details." Well, not only is that excruciatingly annoying, but there are also no log files. My gosh, this is perfect! I've been looking for a Feferi and this is just the cutest thing! Tha~nks! I'm really pleased with how she turned out. is it possible for shimejis to interact with each other? Not to my knowledge, no. But I remember one that was two people in one shimeji that was pretty cute. Cuteness of this level is not natural... Feferi is crawling along the top of my screen and it's adorable. I'm terribly sorry, but I lost track of the original file when my old computer crashed. I don't have access to it at this time. Have you considered a converter? For the download, right? Did you see the download text on the right? It's not in the very top corner, it's right under the "browse more like these" bit and the text is kind of small. Sorry! 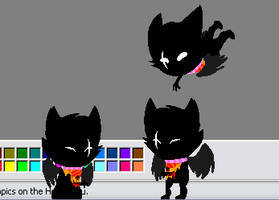 can u make more homestuck shimejis? 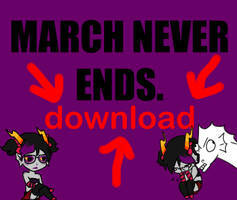 Well I mainly made the Feferi Shimeji because I noticed that no one had made one of that particular character. If you have any suggestions, however, I'd be happy to hear them! I just could promise anything immediate. I hope that's alright. I have it and I love it<3 This was the first hs shimeji i downloaded too, I glad I finally found it's creator! Eeeeee, I'm glad you like it~! Making that was so fun, but a hassle at first, so I'm really glad people are enjoying it! Has you it in ZIP forme? No, sorry, I only have it in the RAR format, the zip file wouldn't work. However, if you don't have an extractor at this time there are some good ones you can get online. I know, I went ahead and folded and got WinRAR because I had to break up a dubiously large file to send it in pieces to a friend. Sorry! I wish I had the know-how to make it more accessible.